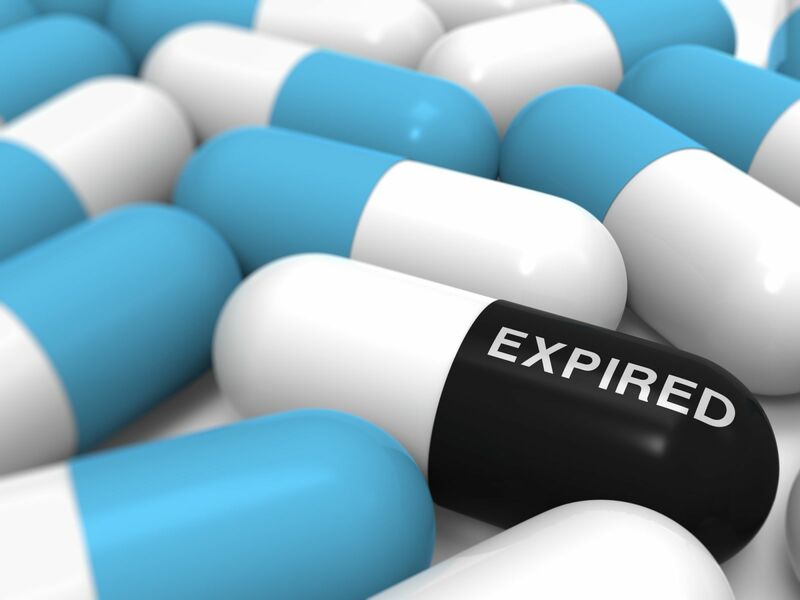 Americans each year needlessly toss hundreds of millions of dollars in costly, valuable, and still potent drugs, a wasteful practice driven by a “myth,” the mistaken belief in and scrupulous adherence to already debunked product expiration dates. Drug discards, including of medications that may be in short supply nationwide, occur all along the distribution chain, from corner druggists up to giant health system pharmacies. The practice flies in the face of known evidence, much of it developed, verified, and shared by the same force that presses for expired meds to get tossed: Uncle Sam. It turns out that the federal government, which enforces compliance with laws requiring expired drugs to be discarded, also must stockpile an array of medications, many for potential use by the military. The stockpiles are maintained to high standards, including protections against damaging heat and humidity. To ensure the safety and effectiveness of its stores, Uncle Sam routinely tests rotating samples of them. The government results match those of academic researchers, underscoring that many drugs can be safely and effectively kept and used for many years beyond their package “expiration” dates. Those arbitrary times, typically two or three years after manufacture, simply reflect the period in which makers, with government oversight, guarantee a given drug’s efficacy as determined by rigorous tests. Some medications, of course, degrade. Researchers have found these include asthma inhalers, and topical creams to treat rashes and painful inflammations. But many pills may be effective and useful long after their expiration date. Their makers, however, have zero incentive to keep testing to prove this is true. Big Pharma makes more money by churning out fresh supplies. By the way, if you have prescription pharmaceuticals moldering in your bathroom medicine cabinet, think twice before using them. In your home, at least, a periodic review and purging of old, unused medications may save you money and make your home safer, especially for kids. You also may wish to think about other wasteful American ways, including how much perfectly acceptable, nutritious, and expensive food we toss, due to poor planning, weak aesthetic choices, and, of course, dubious expiration dates. Meantime, Pro Publica, the Pulitzer Prize-winning investigative site, deserves credit for publicizing the drug expiration date myth and its consequences, with reporter Marshall Allen also noting that medical researchers and others have sought before to draw public attention to medication discard woes. Consider some of those who have argued for improvements: the American Medical Association, editors of the Mayo Clinic Proceedings, the U.S. Department of Defense, and, yes, the federal Food and Drug Administration. In fact, the practice of tossing “expired” drugs is among several that Pro Publica and other news organizations have reported on as part of a big body of information on the ways that skyrocketing medical costs could be reduced, sensibly and without huge strain. American hospitals, for example, are feckless in casting off perfectly fine medical goods and supplies, some of which are collected and redistributed to the needy in the developing world. One San Francisco hospital scrutinized wasted supplies just from its neurosurgeries and calculated a $2.9 million needless cost. Nursing homes toss unopened, unused, costly, and common prescriptions when patients leave due to moves or deaths. Iowa tries to recover the valuable meds and get them donated to cash-strapped seniors. Allen, before writing about drug expiration dates, has reported on how drug makers squeeze consumers by taking two ordinary drugs, combining them, and hiking “new” medications’ prices into the stratosphere. Pro Publica estimates that dealing with the inefficiencies it has identified could save the U.S. health system hundreds of billions of dollars each year. Politicians in Washington love to play a stump soundtrack in which they assail the $3-trillion-a-year U.S. health spending as rife with “waste, fraud, and abuse,” promising miraculous results, if only these could be curbed. Well, lawmakers and regulators, media outlets are putting down some promising looking trails to what may be sound ways to cut medical costs. We all sure could use this relief.